Kristen Stewart to ban photos with fans? Twilight beauty Kristen Stewart has revealed she’s not keen on having her photo taken, and sometimes says no to posing for pictures with fans, as she’s worried they’ll end up on Facebook. SEE KRISTEN’S STYLE HISTORY HERE! It seems the super-famous star doesn’t like being recognised everywhere she goes, and often avoids close encounters with Twi-hards angling for a photo. Revealing she still thinks she’s a ‘novelty’, K-Stew added she’s worried the pictures will become the subject of gossip on social networking sites. ‘It’s strange when you become a novelty… It’s sort of like, “Yeah sure. Go put this on your Facebook so your friends can laugh at it”’ she said in an interview with Los Angeles Time. 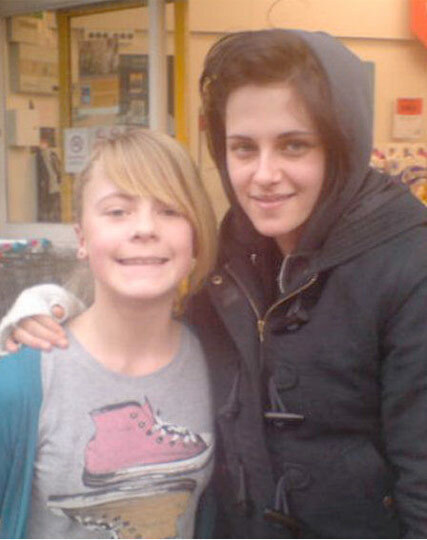 Earlier this year, pictures of Kristen and Twilight co-star Robert Pattinson holidaying on the Isle of Wight hit the net, when a thirteen-year-old fan spotted them in Ventnor. Lucky Holly then posted the pictures on Facebook for all her friends to see, but her snaps soon shot around the world. In the past Kristen has also revealed her worry at walking the red carpet at publicity events, for fears over-zealous supporters will turn on her. I don’t feel very comfortable on the red carpet,’ she said in an interview earlier this year. ‘I look out there at a thousand people and I realise they could rush me and assassinate me. No security could protect me. Is Kristen right to protect her privacy? Or are photos with fans all part of the job? Let us know your thoughts in the comments box below.